You are currently browsing the tag archive for the ‘Mandy Ord’ tag. Mandy Ord is now a staple of the Australian comic art community with a career spanning over fifteen years beginning with her self-published venture, Wilnot. 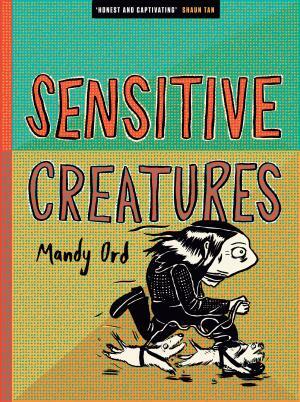 Sensitive Creatures follows her full length Rooftops (2008, Finlay Lloyd) and is a collection of short graphic narratives that were originally self-published or found homes between 2002 and 2010 in publications including The Lifted Brow, falcon vs monkey, Tango, and Torpedo. To the glancing eye Ord’s work may look unrefined but on closer inspection there’s close attention to detail and a surety in line, definition and layout. Ord conveys emotions through facial expressions, and body positioning with great care and definition. There’s never a time when you’re unsure what the characters are thinking or feeling.